You acknowledge that this information may be personal to you, and by creating an account and providing such information, or by linking such information to your personal social media accounts, you allow others, including Peloton, to identify you and therefore you may not be anonymous. Peloton user profiles are available for view by Peloton and other Peloton users, and other users can contact or follow you through the Peloton Service. 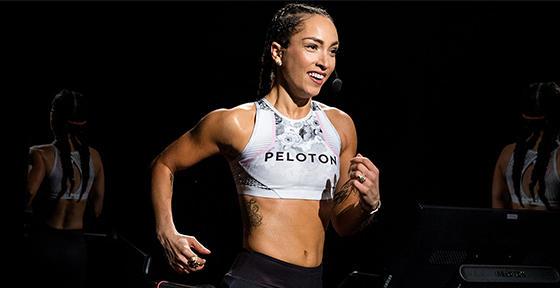 Content that you post on, through, or in connection with the Peloton Service, including on third party services, such as your social media accounts, may also be public. IP and Device Identifiers.The Peloton Service automatically collects usage information, such as the number and frequency of visitors to the Peloton Site and users of the Peloton Service. We may also collect device-specific information if you access the Peloton Service using a mobile device. Device information may include unique device identifier, media access control address, network information, and hardware model, as well as non-personally identifiable usage and traffic data and information about how the device interacts with the Peloton Service. This type of data enables us and third parties authorized by us to figure out how often individuals use parts of the Peloton Service and learn more about our users’ demographics and Internet behaviors, so that we can analyze, operate and improve our products and services. Promotions.Notwithstanding the foregoing, from time to time we may run promotional or marketing efforts, such as contests, sweepstakes and/or giveaways with third parties (collectively, “Promotions”). If you choose to participate in any such Promotions, then any personal information you provide in order to participate in a Promotion may be shared with such third parties and be subject to their privacy policies. In addition, you may be provided the opportunity to share your information through third party services like Facebook and Strava, if you choose to do so. Public Information.Please remember that any content you provide to your public user profile, along with any personal information or content that you voluntarily disclose in a manner that other users can view, can be collected and used by any Peloton user. In addition, your username will be displayed to other users through the Peloton Service, and other users can contact you through the Peloton Service. Content that you post publicly on, through, or in connection with the Peloton Service, including on third party services such as social media accounts, may also be public. Financial Information.As described above, unless we tell you otherwise at the time you provide Financial Information, we do not store, process or maintain Financial Information. The use and storage of your Financial Information is governed by our payment processor’s and/or financing partner’s terms, conditions and privacy policies. Marketing Partners.We sometimes share information gathered from our customers with carefully selected third party vendors, who assist us and other parties in marketing products and services. These vendors may assist us and other parties with customer research, management of customer and prospective customer databases, promotional mailings or other targeted promotions. The information shared may include your name, contact information, and transaction history. You may request at any time that we do not share your information with these third parties by contacting us using the methods described below. De-identified Information.We may de-identify your personal information so that you are not identified as an individual and provide that de-identified information to our partners. 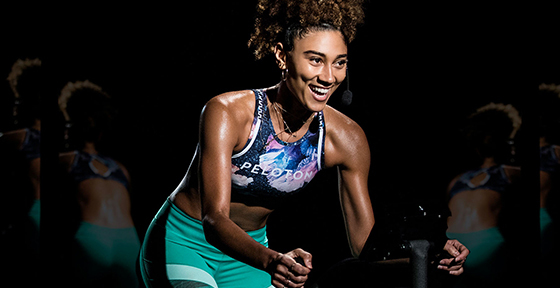 We may also provide aggregate usage information to our partners, or allow partners to collect that information from you, and they may use such information to understand how often and in what ways people use the Peloton Service so that they, too, can provide you with a personal online experience. We reserve the right to access, read, preserve, and disclose any information that we reasonably believe is necessary to comply with any law or order as described above, to enforce or apply our Terms of Service and other agreements, or to protect the rights, property, or safety of Peloton, our employees, our users, or others. You can always opt not to disclose certain information to us, even though it may be needed to take advantage of some of the features of the Peloton Service. 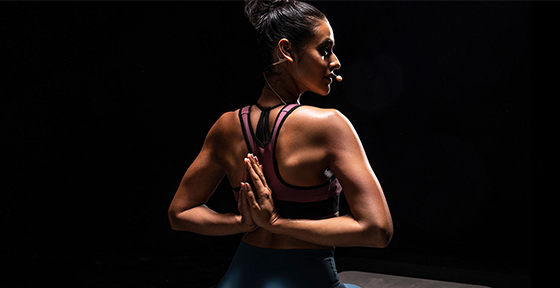 Please note that even if you opt out of receiving marketing communications from us, we reserve the right to contact you for non-marketing reasons related to your Peloton products or account, such as for password recovery purposes or service calls that you have requested. Accounts.If you have purchased a subscription for the Peloton Service or otherwise signed up for an account, then you may access your Peloton account at any time once logged on, and you may modify, update and change your account settings through your account. When you update information, we may maintain a copy of the unrevised information in our records. You can also delete your account by emailing us atsupport@onepeloton.com. Please note that we will need to verify that you have the authority to delete the account, and activity generated prior to deletion will remain stored by us. Also, some information may remain in our records after your deletion of such information from your account, and public activity on your account prior to deletion may remain publicly accessible. Interest Based AdvertizingThrough the Digital Advertising Alliance (“DAA”) and Network Advertising Initiative (“NAI”), several media and marketing associations have developed an industry self-regulatory program to give consumers a better understanding of and greater control over ads that are customized based on their online behavior across different websites. To make choices about interest-based ads from participating third parties, please visit the DAA’s or NAI’s consumer opt out pages, which are located at http://www.networkadvertising.org/choices/ orhttp://www.aboutads.info/choices. We strive to take appropriate security measures (including physical, electronic and procedural measures) to help safeguard your personal information from unauthorized access and disclosure. For example, only authorized employees are permitted to access personal information, and they may do so only for permitted business functions. In addition, we use encryption in the transmission of sensitive personal information between your system and ours, and we use firewalls to help prevent unauthorized persons from gaining access to personal information. Your account is also protected by a password for your privacy and security and you must prevent unauthorized access to your account and personal information by selecting and protecting your password appropriately, limiting access to your devices and browser, and by signing off after you have finished accessing your account. Please keep in mind, however, that no method of storage or transmission over the Internet is completely secure, so your use of the Peloton Service and provision of information to us is at your own risk.